It was Mark Pappenheim - who was then an editor at the Independent - who showed me the road to jazz. 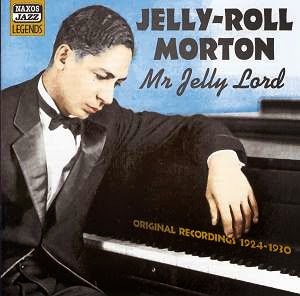 The youthful commissioning editor knew what he wanted from me: an irreverent, tongue-in-cheek profile of 1920s piano braggart Jelly Roll Morton. What I chose not to tell him - for finances' sake - was that I knew as much about Jelly Roll as I did the secret protocols of the Bilderberg Group. So off to the library I skipped, allowing three days to steep myself into fifty years of American musical history. In truth, I was not so much interested in Jelly Roll himself - colourful though he was, being a conman, genius, liar and cheat - but more about the wretched parturition of a music America now dares to call its classical form. It was, indeed, the unvarnished reality of early jazz that fascinated me. It was the brothels, the riverboats, the blackmails and the back doors ingress - as well as the penurious Chitlin Circuit, the Cosa Nostra, and naturally, the costly, youthful expiration of turn of the century Mozarts such as Beiderbecke and Bolden. Drugs, race, poverty, and puzzling innovation, were the tattered swaddling clothes of a prodigious birth. Riveted to a hard bench at London’s Stockwell Library, I passed the hours tracing the hallowed spine of Satchmo's journey from pistol-totin’, rough’n’tumble New Orleans orphan, to cultural tornado that would sweep from the south, turning into Chicago only to pick up speed for a career defining landfall in New York. Turning the pages forth and back, my eyes burned with the mournfully austere images of very young men and women - children in our own age - Scott Joplin, WC Handy, Jelly Roll himself, seated demurely at a piano. Then as if by some magic, I heard and suddenly loved a noise that was so esoteric to my ear only a week before. The bitter, bittersweet history of the margins had wrapped itself around the sound. Even today, a crisp bright note from an upright spells riverboats to me; a fast trumpet is tragic Clifford Brown, speeding into the history books; a low drum roll introduces Duke Ellington at Carnegie Hall. It was against this landscape of pain and pleasure, adulation and early deaths, drug addiction and stymied genius that Jelly Roll Morton carved a deserved reputation for himself. His dazzling piano led him to crown himself Father of Jazz - which he was not - but certainly a towering figure in the history of the music. Fifty years after his death, the fractious, self-hatin', braggadocious, high-yella Creole from New Orleans opened for me - a dreadlocked West Indian - a back door to the bawdy house, and I have never left that place. Curiousity took me to jazz, memory keeps me happily languished in it. And it is memory that gives life its meaning, I am sure. Memory, like history, is not simply life's echo chamber; it’s that which allows us to live it out in stereo.